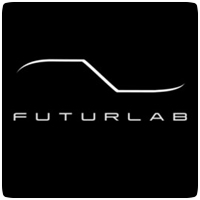 Indie developer FuturLabs, who developed the highly-acclaimed PlayStation Minis title Velocity, has signed a development contract with Sony to produce games for the PS Vita. The deal means the developers keep full control of the IP but will get support from the platform holders to produce new games for the portable console. The new IP is set to be revealed in two days according to the cryptic website fanpoweredflight.net hidden in the press release. The clues suggest its a full-blown version of Velocity for the PS Vita. We’ll have to wait 2 days for all to be revealed.